Originally from North Miami Beach, Rabbi Menaged attended Hillel High School and studied political science at the University of Florida. Rabbi Menaged learned at Midrash Sephardi in the Old City of Jerusalem, and received rabbinical ordination from Hacham Gidon Ben-Moshe. He also received an advanced rabbinic degree from Yeshivat Mikdash Melech in Brooklyn. Rabbi Menaged was Rabbi of Congregation Beth-El of Flatbush in the Syrian community of Brooklyn, before making aliyah with his family in 2011 to join Israel XP. Rabbi Ari Kahn is the Director of Foreign Student Programs at Bar-Ilan University in Israel, where he also is a senior lecturer in Jewish studies. Rabbi Kahn received his rabbinic ordination from Yeshiva University, where he studied with Rabbi Yosef Dov Soloveitchik. He also holds a BA in psychology and an MS in Talmud.Rabbi Kahn is a renowned speaker, and has lectured worldwide. Having authored hundreds of articles on the weekly parsha with a readership in excess of 10,000, Rabbi Kahn is also the author of “Explorations,” an in-depth analysis of the weekly Torah reading, “Emanations,” an in-depth analysis of the Jewish holidays, and “Echoes of Eden,” a projected 5-volume set of parsha analysis. Rabbi Kahn combines the mystical explorations of kabbala and chassidism with a highly-intellectual and broad-minded approach to Torah study, incorporating psychology, literature and Jewish history into his observations as well. He has lived in Israel since 1984 with his wife Naomi and 5 children. 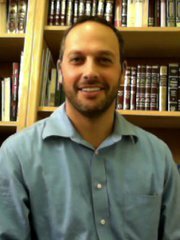 Meir Balofsky has been the Experiential Education Director of the Israel Experience at Bar Ilan University since the program’s inception. Meir has been actively involved in both formal and informal education with Jewish youth for nearly 14 years. He is originally from Toronto, where he was a classroom teacher, a youth/family programming director as well as a published author in Canadian Jewish History. Meir made aliyah with his family in 2004 and has worked for the overseas program at Bar Ilan University since! is the Director of Recruitment & Admissions for The Israel Experience. Natalie was formerly the National Director at Hasbara Fellowships, a branch of Aish HaTorah dedicated to educating, training and inspiring students to stand up for Israel on university campuses. Natalie was the founder and president of Gators for Israel at the University of Florida, where she studied political science and religion. Natalie also studied at Shearim seminary in Jerusalem for two years. Most importantly, Natalie is mother to five energetic children who love Israel XP students! Originally from North Miami Beach, FL, Yonatan is the Men’s Campus Director and Av Bayit. He studied five years in Yeshivat Shaalvim and taught at the Naale Elite Academy. In 2015, he, his wife Rivka, and their daughter Liel moved south to a Garin Torani in Beer Sheva. They were exposed to a beautifully diverse community of Jews from all around the world and made themselves a positive religious presence in a largely traditional/secular neighborhood. They are in love with the Negev and are sad to be leaving, but nonetheless are very excited to be joining the Israel XP team. They are returning to the center of Israel, this time with 3 daughters in toe, and cannot wait to open their home, hearts, and fridge to the students! is the Women’s Campus Director and Em Bayit. Orli was born and raised in Miami, and is a graduate of the University of Florida. She graduated with a degree in English Literature and Speech Communication, but spent most of her free moments planning Israel and Jewish events on campus or attending any Israel trip she could hop on! Orli spent time learning at Shearim College of Jewish Studies for Women and then moved back to Hollywood, Florida where she worked as an educator and private tutor for children of various ages. Orli is passionate, enthusiastic, energetic and loves to create and share a warm home away from home for the incoming students. Orli and her adorable family have enjoyed several years of inspiring times at Israel XP since making aliyah in 2014! Rabbi Adam Siegel, Israel XP Chief Financial Officer, has extensive and diverse experience in the fields of Jewish education and finance. After teaching Torah for several years in Binghamton, NY and Charleston, SC, Rabbi Siegel served as the executive director of Yeshiva Elementary School in Miami Beach, during which time the school experienced tremendous growth and success. He then became the founding director of Ben Gamla Charter School – the first Hebrew-English charter school in the USA, which now has over 2,000 students. During the same time, Rabbi Siegel won awards from multiple insurance companies and brokerages for his work as an insurance and financial consultant. In addition to serving as the CFO of our program, he runs a very successful mortgage brokerage in Jerusalem and teaches several courses at Bar Ilan University. He lives with his wife and five children in Ramat Beit Shemesh. Mrs. Alyta Pitaru, Director of Administration, was born in Petach Tikva Israel, raised in an English speaking household by parents who emigrated from England. She did her national service as a Coordinator of a Bnei Akiva branch in Moshav Netzer Hazahi in Gush Katif. She attended Bar Ilan University earning a BA in Land of Israel Studies and Jewish History. Alyta has been the director of administration for overseas students at Bar Ilan university since 1997. Rabbi Yitzie Klapper, originally from Queens, NY, is the Director of Alumni Affairs and Mashgiach Ruchani. Rabbi Klapper was formerly Men’s Campus Director and Av Bayit for 4 years. After studying for two years in Yeshivat Shaalvim, he received his BS in Business Management from Yeshiva University. Rabbi Klapper then went on to earn a Master’s degree from the Azrieli Graduate School of Jewish Education and Administration of Yeshiva University, as well as semicha from YU/RIETS. Rabbi Klapper has previously served as the Director of Student Activities at HAFTR. In addition, he is very active in the summer camp scene having worked in many different capacities. Rabbi Klapper is extremely passionate about both formal and informal Jewish education. He brings an excitement and enthusiasm, which will make the students experience at the Israel XP BIU truly unforgettable. Together, with his wife Tova and their family, the Klappers made aliyah to join the BIU XP family! Rabbi Roy Sasson, Men’s Advisor, was born in Tel-Aviv and grew up in North Miami Beach. He attended Hillel High School and received a bachelors degree in Digital Arts and Sciences at the University of Florida. Roy started his own Digital Marketing company while he was in college, which he continues to run today. Despite a busy work schedule, Roy continued to feed his passion for Torah by dedicating his mornings at the Yeshiva Toras Chaim. In 2011 Roy founded a kids Torah learning program at his local synagogue for a wide range of ages, where he developed his passion for teaching. Since Roy made Aliyah to join the Israel Xp family with his wife and kids in 2014, he continues his learning at Kisse Rachamim in Bnai Brak and loves to learn with Israel XP students, while maintaining a successful career in digital marketing. Miriam Siegel, women’s advisor, is a unique and valuable resource for our students. Mrs. Siegel is a black belt in several forms of karate and self defense, with experience teaching dance and physical education, all of which she teaches to Israel XP students during extracurricular hours. Mrs. Siegel is also certified in Israel as a women’s empowerment coach and a licensed craniosacral therapist with her own private practice. Miriam is beloved as a friend, mentor and role model. She lives with her family in Ramat Beit Shemesh. Sam McCartney, Informal Education Assistant, was born and raised in Sydney, Australia. After finishing high school, he spent a year in Israel studying in yeshivah, and in 2009 enlisted in the IDF, during which he officially made aliyah. Sam was a madrich for 4 years at The Israel Experience. He recently completed his Master’s Degree in Informal Education at Bar Ilan University. Sam also works in a sport data company and is a volunteer firefighter. Dr. Chana G. Tannenbaum is Academic Coordinator and a senior lecturer at Bar Ilan University. Dr. Tannenbaum has an Ed.D in Education, an M.A.. In Ancient Jewish History and a B.A. In Judaic Studies. In 1993, she received the Baumel Award, a prize bestowed upon the most outstanding faculty member at Yeshiva University. Since making making Aliyah in 1997 with her family, Dr. Tannenbaum has taught in many one year programs, served as the founding Dean of Shaalvim for Women, and lectured to adult women all over the country. She has been with this program for over fifteen years. Rabbi Ari Yablok, Judaic studies lecturer and program social worker, made aliyah from Teaneck, NJ in 2009 and currently lives with his wife, Ayelet, and five children in Giv’at Shmuel. After studying for two years in Yeshivat Shaalvim, Rav Ari received a BA in Judaic studies from Yeshiva University, an MSW from the Wurzweiler School of Social Work, and semicha from Yeshiva University’s RIETS. Rav Ari has many years of experience working with the international student body of Bar-Ilan University, including serving as IsraelXP’s Av Bayit and Campus Director. Rav Ari is also a senior product content writer for a hi-tech company, a clinical therapist, and a musician. Tzippi Tishberg, Campus Coordinator, made Aliyah from New Jersey seven years ago and has been an active part of the greater Bar Ilan and Givat Shmuel community ever since. Tzippi lives in Givat Shmuel with her husband and two daughters. Tzippi is excited to connect with the Israel XP students and help them feel at home through her warm, friendly personality. Earned his BA in Classics from University of Chicago, his MA in Ancient Greek from Bryn Mawr College, his MA in Social Thought from University of Chicago and his PhD in Jewish Thought from Hebrew University. An author of several books and articles, Dr. Danzig will bring history to life in the classroom. Even students who are afraid of Classics may find a new level of comfort in his class. And for those who embrace them, this may be a dream come true. Earned his B.A. in Political Science/Jewish History and his M.A. in Modern Jewish History from Yeshiva University, his Ph.D. in Modern Jewish History from Bar Ilan University and his Rabbinical Ordination from Yeshiva University. He is the recipient of numerous prizes, fellowships and grants. A chairman of International Academic Conferences and lecturer at several scientific academic conferences, Rabbi Ferziger has published dozens of publications. Fifteen years ago, Chani Hadad made aliyah from New York. She brought with her a husband, five children (now six), an MA in Humanities from New York University, another MA in English from Brooklyn College, experience as an English instructor at Yeshiva University, CUNY, SUNY, and Touro, and a burning desire to continue teaching literature. Currently, she is just a year and a dissertation away from earning her PhD in English Lit at Bar Ilan. Earned her BSc Hons in Psychology at Oxford Brookes University, England and her MA in Clinical Psychology at Bar Ilan University, Israel. She is currently completing her PhD at Bar Ilan and works as a Psychologist at Hadassah Hospital in Jerusalem and in private practice. She teaches in the Clinical Psychology MA program at Bar Ilan in addition to presenting her research and clinical work at international and national psychology and psychiatry conferences. Her clinical experience includes working on a child and adolescent psychiatric ward, general community clinic and in a specialized trauma clinic. Her research interests focus on martial arts, neuro-cognitive rehabilitation of at-risk youth and parent-child attachment. Studied biology in Bar-Ilan University earning his Ph.D. in 2006. He then completed a three-year post-doctoral fellowship at the Cleveland Clinic and now heads the microscopy core of the Faculty of Life Sciences. Avi is an alumnus of Yeshivat Hesder Shaalvim and served as a medic in the Nahal Brigade. His parents made aliya in 1982 from Cleveland. Earned his B.A. in English Literature and Anthropology from University of Michigan and an M.A. in English Literature from University of Chicago. He has earned Rabbinical ordinations from three different sources including Rabbi Avraham Kopshitz, Rabbi Noah Weinberg and Rabbi Yitzchak Kolitz, Chief Rabbi and Head of the Religious Courts in Jerusalem. Married with eight children, Rabbi Meyer published “Power of the Soul,” and is a former Journalist with the Detroit News. Earned her B.A. from Columbia University, her M.Sc. in Life Sciences from the Weizmann Institute of Science and her Ph.D. in Neuroimmunology, from Bar-Ilan University. Her expertise ranges from genetics, Biology, Immunology and Human Physiology to technology and business development. A very popular Bible lecturer at Bar Ilan University. He was awarded a president’s scholarship during his doctoral studies and his dissertation was awarded the Churgin award for best dissertation in Bible by the Bar Ilan Bible department. He received his baccalaureate from Bar Ilan University, a Masters degree from Yeshiva University and his Ph.D. from Bar Ilan University. Dr. Zvi Shimon lectures regularly at national and international Bible conferences including the Herzog study days and conferences of the Society of Biblical Literature. His book “Human Choice: Biblical Narrative and the Drama of Choice” (Heb.) by Magnes Press presents a new approach to biblical theology focusing on the role of human choice in the biblical narrative. He is an alumnus of Yeshivat Har Etzion where he studied for seven years and authored a weekly article for the Virtual Beit Midrash of Yeshivat Har Etzion. Jacob Bergfeld is originally from New York, where he attended The Ramaz School, and he made aliyah after high school. Jacob was a student on The Israel Experience program, and studied afterwards at Yeshiva Machon Meir in Jerusalem. Jacob served as an IDF as a combat soldier in the Tank Division. After his military service, Jacob returned to The Israel Experience, and is now a madrich for his second year while studying for his degree in Interdisciplinary Studies in Social Sciences at Bar Ilan University. After graduating from Katz yeshiva High Shool in Boca Raton, FL, Tova Bitterman was a student on The Israel Experience. She recently made aliyah and studies at Bar Ilan University, and has now re-joined The Israel Experience family as a madricha. Jessica Gelbard was born and raised in Toronto, Ontario where she was heavily involved in NCSY. After high school, Jessica attended Machon Ma’ayan in Bet Shemesh. Jessica returned to Canada to complete her university studies, and made Aliyah in early 2018. She is currently exploring life as a new Israeli, while balancing her time between going to the Opera, watching football, and winning Settlers of Catan. Rivka made Aliyah in 2010 from Baltimore to Ramat Beit Shemesh with her family. She is part of the atudah program in the army and also studying chemistry at Bar Ilan University. Rivka is looking forward to her second great year as a madricha! Originally from Teaneck, NJ, Yoni attended Yeshivat Orayta in Jerusalem for his gap-year and is currently studying Communications and English Literature at Bar Ilan University. He enjoys hiking and camping in Israel’s gorgeous parks, meditation and learning philosophy. Zahava Selig made aliya 7 years ago from Boca Raton Florida to Ramat Beit Shemesh. She is currently in the mechina program at Bar Ilan University. Yitzchak Zitter is Israeli born and bred. His family, originally from Brooklyn, made Aliya to Beit Shemesh. Yitzchak served in the army as a combat soldier in the Givati brigade through the Hesder program at Yeshivat Kerem B’yavneh where he then continued to serve as madrich of the overseas program for two years. After completing his studies in Yeshivah he flew to Silver Spring Maryland for a year of Shlichut and is now studying for his degree in psychology at Bar Ilan University.